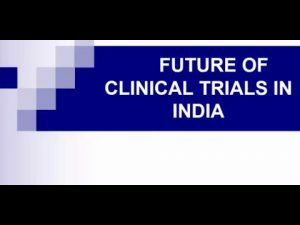 How the Future of Clinical Trials in India Looks Like? According to the data from clinicaltrials.gov, 1.4% of global clinical trials are done in India, when the country has 16% of the world’s population and carries 20% disease burden in the world. However, the number of clinical trials in India is expected to rise by 2018-19 as a result of more stable and predictable regulations for clinical trials in India. 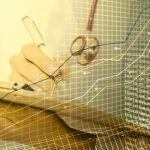 In 2010, more than 500 clinical trials were done in India, and later the number dropped to less than 200 per year because there were said to be many uncertainties and ambiguities and regulations were not conducive to conduct clinical researches, with which the companies did not want to deal. In 2013, new regulations were introduced due to which major changes took place and clinical trials nosedived. This drop in clinical research in India was reported on account of regulatory uncertainty, judicial and social activism and some media sensationalism. This made the clinical research fraternity apprehensive and concerned over how this would translate into delayed access to new therapies for Indian patients. Over the last year and a half, the Ministry of Health and Family Welfare has taken steps to address the challenges posed by regulatory uncertainty and take on board concerns voiced by stakeholder. Regulations were amended and further guidance was given on existing ones. These were significant movements forward and a reiteration of the regulator’s commitment to clinical research in the country. The changes that began in 2014 now need to be sustained. The inclusive approach adopted by Indian regulators in which multi-stakeholder feedback has been actively sought and acted upon in many cases, continue. Industry personnel recommend stress upon the need to build on an emerging regulatory system that is balanced, aligned with global trends and one that addresses our uniqueness as a country and society. These developments will send out a strong signal to the global clinical research community that Indian clinical research industry is committed to a robust regulatory environment with a focus on collaboration, transparency and, most importantly, patient safety and protection. 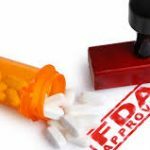 As a result of these regulatory and operational reforms, the timeline for the approval of clinical trials research has been reduced to six months by the Central Drugs Standard Control Organization (CDSCO). Initially, it used to take 12 months for any proposed clinical trials research to get approved, and as a result, by the time the trials body used to get the approval to conduct clinical research in India, globally similar trials had already been conducted in that time period resulting in India losing out its competitive edge. Since the timelines are defined now, this will help in introducing new trials and if they become successful, those molecules then subsequently can be introduced for Indian patients. Another development that happened is the scaling down of three levels of approval to only one, as now the approval process is done by a Subject Expert Committee (SEC), which consists of 25 panels of experts for various therapeutic areas, as per recommendations from The Ministry of Health and Family Welfare, Government of India. They evaluate the various categories of applications received for clinical trials, new drugs and new medical devices. In strengthening the SECs, the Ministry has addressed an industry concern that the SECs were not run as efficiently as envisaged because of an inadequate representation of subject matter expertise and the lack of availability of members for meetings. Feedback from the industry is that this has resulted in reduced approval timelines which are averaging six to seven months from submission to final approval as compared to 18 months earlier. Lot of work has been done in the last one to two years to set the expectations right in terms of the scope of SECs. Clearly the value of clinical research in India is being appreciated more but its full potential has yet to be realized. Several limitations still exist that either delay clinical research or curb its scope. One of our greatest challenges is to instill confidence and trust amongst global stakeholders about the evolving and more scientific regulatory environment in India and the fact that there is now a more conducive environment for clinical research in the country. We feel that there is a need for investment by the regulators in capacity building and infrastructure to ensure better governance and management of clinical research in the country. We hope that the proposed accreditation of Clinical Research Sites, Investigators and Ethics Committees will come into place soon and the cap limit for investigator initiated trials lifted vesting the final decision with the Ethics Committees. We also hope that Indian authorities will continue to play a proactive role in encouraging local research and innovation. We have made good progress and should continue this momentum. 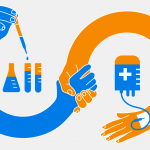 Millions of patients are waiting in the hope of better and more effective treatment. If we have to find better and more cost effective cures for existing and new diseases, we need to make clinical trials work in our country. Become an Certified HEOR Professional – Enrol yourself here! What is the Impact of Information From ClinicalTrials.gov in the Conduct of Systematic Reviews? 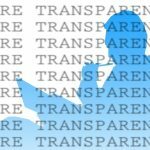 How Important is to Maintain Clinical Trial Transparency? 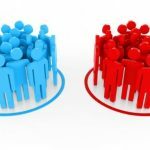 How RWE can Impact Clinical Trial Design and Help in Decision Making? 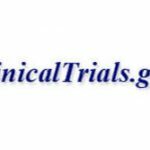 What are the Strategies for Effective Retention in Clinical Trials? Generating Scientific Evidence (Efficacy/Safety/Cost Data) from India: Need of the Hour! Is Their Any Dogma Regarding Informed Consent in the Conduct of Pragmatic Trials? 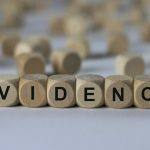 How Strong is the Evidence for Drugs Receiving FDA Accelerated Approval? 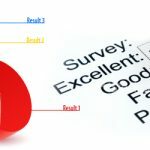 How Important is to take Ethics Approval for Survey Research? One Response to How the Future of Clinical Trials in India Looks Like?